You must be seventeen years old to purchase through this site. If you are under seventeen, you may only use the site in conjunction with, and under the supervision of, a parent or guardian. If you do not qualify, please do not use the site. I understand information supplied on this form gives Krav Maga UK permission to communicate with me by mail, fax, email, or phone to relay special offers, announcements and information I may find valuable. All events booked through this website. Please return all faulty or damaged items to us using the filled in returns slip and also please email info@institute-kravmaga.co.uk stating the problem. Please provide photographic evidence of the damage/fault attached to the email. IKMUK events do not qualify with a right to cancel under the Distance Selling Regulations. If you are unable to attend the event for whatever reason you may at any time ask us to credit you with a future event of similar nature. We will consider this one a case by case basis. No contract for the sale of any product will subsist between you and Krav Maga Uk Ltd unless and until accepts your order by way of an e-mail confirming that it has received payment in full for all the goods you have ordered. That acceptance will be deemed complete and will be deemed for all purposes to have been effectively communicated to you at the time Krav Maga Uk Ltd sends the e-mail to you (whether or not you receive that e-mail). You undertake that all details you provide to Krav Maga Uk Ltd for the purpose of ordering or purchasing goods or services are correct, that the credit or debit card you are using is your own and that there are sufficient funds to cover the cost of the goods or services ordered. If there are any changes to the details supplied by you it is your responsibility to inform Krav Maga Uk Ltd as soon as possible. Credit and Debit cards are debited immediately. All charges are made in GBP and include VAT (where applicable) unless otherwise stated. For all UK orders there is a charge of up to £4.50 for standard shipping. If an order is excessive in weight or requires international delivery an additional amount may be charged. Any additional fees will be displayed on checkout. 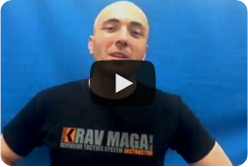 Krav Maga Uk Ltd aims to process all orders within 48 hours of placement. Please allow 3-5 days for delivery of your goods. Your order may be delayed if the item is not in stock with our suppliers. We will notify you of any delays. Title to any product ordered will pass to you once Krav Maga Uk Ltd has received payment in full for that product. Risk in any product ordered will pass upon delivery to you. All items purchased are guaranteed against defects. In the unlikely event that you receive goods which were not what you ordered or which are damaged or defective, or are of a different quantity to that stated on your order form, Krav Maga Uk Ltd at its own option, make good any shortage or non-delivery, replace or repair any damaged or defective goods, or refund to you the amount you paid for the goods in question provided that you notify us of the problem within 10 working days of delivery of the goods. NOTHING IN THIS CLAUSE AFFECTS YOUR STATUTORY RIGHTS. You may not permit, create unauthorised framing of, or deep linking to, the Site or the creation of derivative works thereof from any other website under your management or control. These Terms supersede any and all other conditions, understandings, commitments, agreements or representations (except fraudulent misrepresentations) relating to your purchase, whether oral or in writing, and contain the entire agreement between Krav Maga Uk Ltd and you relating to your purchase. Krav Maga Uk Ltd advises that you print off and keep safe a copy of these terms and conditions once your order has been accepted by us. We will store a copy of the contract entered into by you with Krav Maga Uk Ltd. You are advised to read (and are responsible for reading) fully all information on this website.